Dynamic Wine and Food Pairing instructor Deborah Lazear. 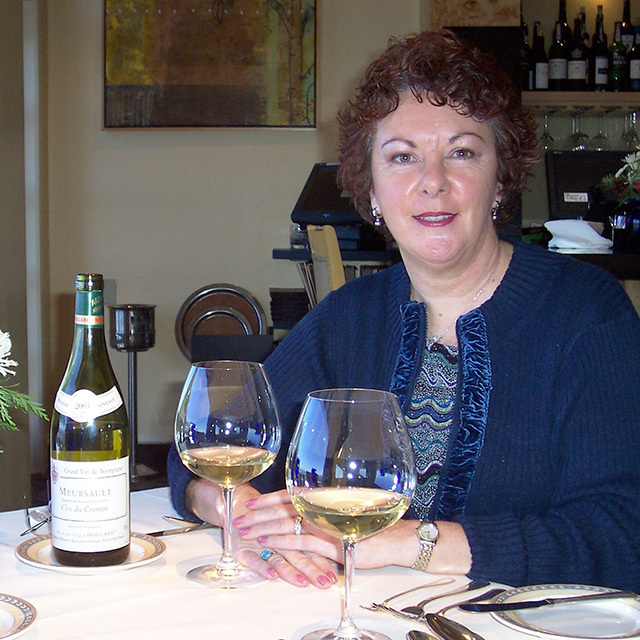 When it comes to pairing food and wine, Deborah Lazear is an expert known far and wide. The Wall Street Journal twice printed her wine and food pairing menus in the program of their annual Open That Bottle Night — a celebration that encourages wine lovers worldwide to finally drink that special wine they’ve been saving. As an educator, she’s equally as highly regarded. The Society of Wine Educators twice invited her to speak on adult education in wine at their annual global conference. Lazear was also the first-ever instructor in San Diego State University’s Business of Wine Professional Certificate program, back in 2004. She now lives in Arizona, and twice per year travels to San Diego to share her passion and expertise with students in her popular course, Dynamic Wine and Food Pairing — a day-long adventure in feasting and wine-tasting. Lazear answered a few questions about her career and her course. St. Francis Xavier University [Nova Scotia, Canada], adult education. Certified Specialist of Wine, Society of Wine Educators. Four certificates: Certified Wine Educator Spain, Bordeaux, Napa Valley, Rhône Valley. How did you come to be the original instructor with SDSU’s Business of Wine program? I volunteered for a few wine events for KPBS, and Stephanie Bergsma [associate general manager of KPBS at the time] recommended me when the College of Extended Studies was exploring a wine education certificate program. I created the original curriculum for Exploring Wine, and assisted hiring the other instructors. Later, I was also program advisor. What do you think are the biggest strengths of the program? The information is immediately applicable to the real-world wine business. The program also opens people’s eyes to the various opportunities in the wine industry. What are some key takeaways from your course, Dynamic Wine and Food Pairing? Balance the acid in the food and acid in the wine. Consider bridging elements in the food to connect the wine. Fat and salt are food pairing friends. Spicy food responds well to a wine with a little residual sugar. Dessert wine should be sweeter than the dessert. How does your day-long course unfold? We begin with a sparkling wine and a classic salty pairing of potato chips and smoked trout. Then we progress through Riesling, Sauvignon Blanc, Pinot Noir, Chianti, Cabernet Sauvignon, and finish with a dessert wine such as Moscato d’Asti or Zinfandel Port. The wines come from all over the world. Each wine is paired with a food sample and the “why” and “why not” are discussed. We also pair cheese and chocolate with these wines. The technique of Mind Mapping is used to take the mystery out of wine and food pairing. Students work in small groups prepare a lunch menu using the map. The exam tests students’ recollection of our day’s discussions and their own knowledge. The culmination is a four- course dinner menu pairing four different wines. Do you have a favorite anecdote you share with students about food and wine pairing — a success or fail? I attended a very elaborate wedding and the dinner celebration was extraordinary. The failure was serving Brut Champagne with wedding cake. The thought still makes my teeth ache! Why should Brut Champagne not be paired with wedding cake? Brut is category of Champagne or sparkling wine that has little or no residual sugar and therefore tastes like a dry wine. Because the wine must be sweeter than the food — and wedding cake is sweet — Brut is a poor choice. It will taste bitter and sharp. A better choice would be Dry which is a misnomer because Dry is actually semi-sweet!Go figure! When did your love of wine begin? I was born in Nova Scotia and wine was not part of our family. I attended college in Montreal and my culinary world exploded. Following this was a few years in Europe studying cooking and beginning my study in the WSET [Wine and Spirit Education Trust] program. I was hooked! The satisfaction of watching the light bulb go on over students’ heads when they understand the finer points of wine and food pairing. I love seeing their knowledge growing as the day rolls on. What are your top three favorite wines? This is a hard question to answer. I could be glib and say “the last three wines I drank” but I don’t think this is what you meant! Champagne from small growers is number one, and is my favorite wine to pair with food, even steak, if the wine has sat on its lees for a while or aged in oak for a while. Second wine is Pinot Noir, especially from Oregon and specifically Domaine Serene. Third is a Napa Cab and one that stands out for me is Insignia. An ambassador’s wife. As I grew up, I wanted to be the ambassador! I was valedictorian at St. Mary’s University, Canadian Institute of Management. You don’t go into teaching for the money; you do it for the love of guiding others to learn and use their learning to enhance their lives. The teacher is not the sole factor in a successful learning experience. I am blessed to have the support and assistance of a strong team lead by Evon Yousif, program co-coordinator.